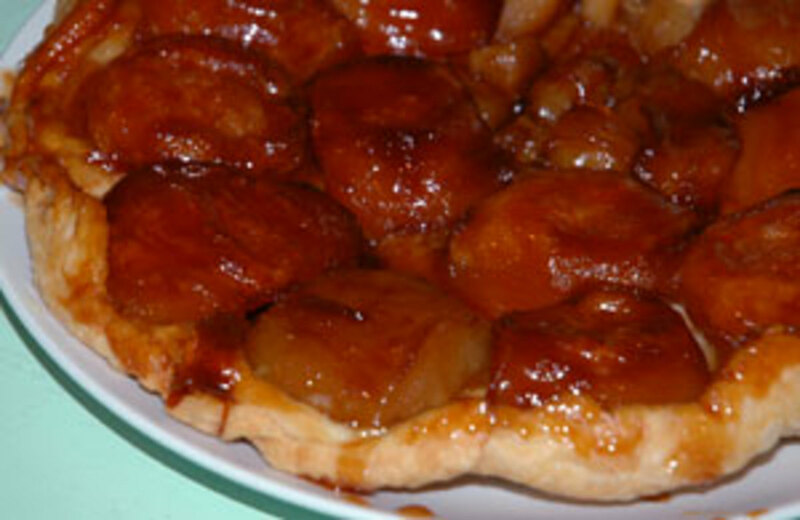 This recipe for Apple Tarte Tatin is absolutely delicious. 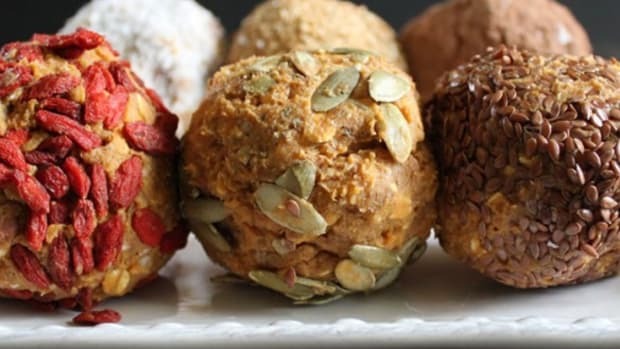 What&apos;s great about it, it can be made ahead, and reheated at the last minute for your guests. 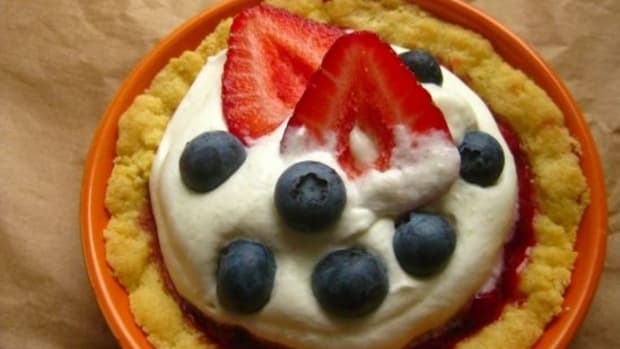 This recipe makes enough dough for 2 tarts, so you can freeze half for another time. Put 1 cup of the flour and the salt in the bowl of a heavy-duty mixer fitted with the paddle attachment. With the mixer on low speed, add the butter a small handful at a time, then increase the speed to medium and mix until the butter is completely blended with the flour. Stop to scrape down the sides of the bowl as necessary. 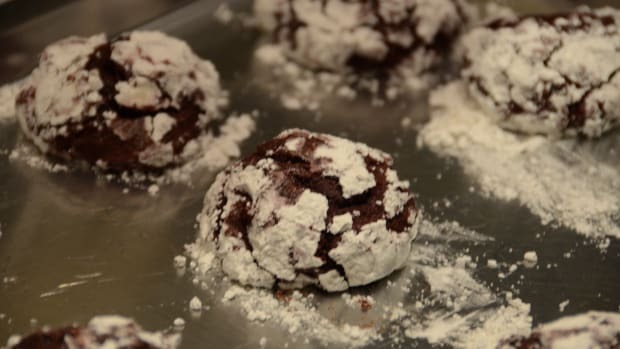 Reduce the speed to low, add the remaining 1 cup flour, and mix just to combine. Add the water and mix until incorporated. The dough will come up around the paddle and should feel smooth, not sticky, to the touch. Peel the apples with a vegetable peeler and cut them in half lengthwise. Use a melon baller to remove the seeds and cores and a pairing knife to remove any stems. Trim the root and stem ends to create flat surfaces. Prepare a dry surface to roll out your dough. Lightly dust it and your rolling pin with flour. Roll the dough out into a circle, rotating it a quarter turn after each roll of the rolling pin. Roll out the dough so it is just slightly larger than the pan and just under ¼ inch thick. Lightly dust the top of the dough with flour and fold the dough in half, lightly dust it again and then fold again to form a triangle. Put on a plate and refrigerate until ready to use. Spread the sugar in an even layer in the bottom of the pan. Cut the butter into 6 pieces and distribute over sugar. Arrange a circle of apples cut side up around the perimeter of the pan, with all the halves facing the same direction, forming a snug circle. Cut another apple half or two lengthwise in half and place the pieces in center of the pan, cut side up so that they too fit snugly. Reserve any remaining apples to add to the pan as the other apples shrink and make additional room in the tart. Place the pan over medium to medium-high heat to melt sugar and butter (this will make your caramel sauce). Add the brandy. You will see a dramatic increase in the amount of liquid in the pan from the juices of the apples. The liquid will bubble up around the apples as they cook. Use a wooden spoon, and push apples lightly or shake the pan from time to time to loosen the apples to prevent sticking. When the apples have cooked down enough to create some spaces between them, gently move them apart as necessary and fit in any remaining apples halves. Reduce the caramel, be patient it can take up to 1 hour. Cook it on the stovetop until it is a very rich, deep amber color and is evenly distributed on the bottom of the pan. If you don&apos;t reduce the caramel enough, you will be left with too much liquid when the tart is unmolded, and will leave you with a soggy crust. When the caramel is thickened and a deep brown color - be careful not to burn it - remove the pan from the heat. Meanwhile, put a rack in the center of the over and preheat it to 375° F.
Remove the dough from the refrigerator, unfold it, and drape it over the pan. 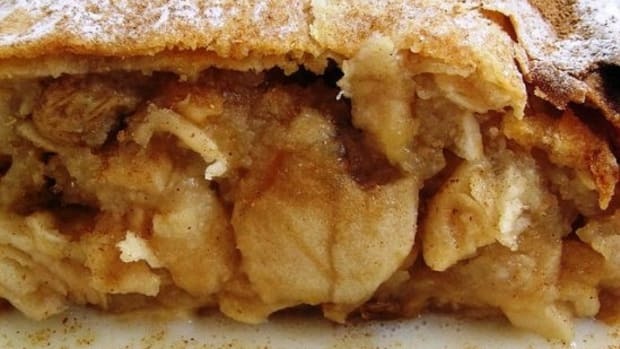 Using your fingers, gently tuck and crimp the dough around the apples between them and the pan. Then tuck in the dough around the apples. Bake for about 40 minutes, or until the dough is golden brown. Remove tart from the oven and let it rest for about 30 minutes. The apples will absorb more of the hot caramel. 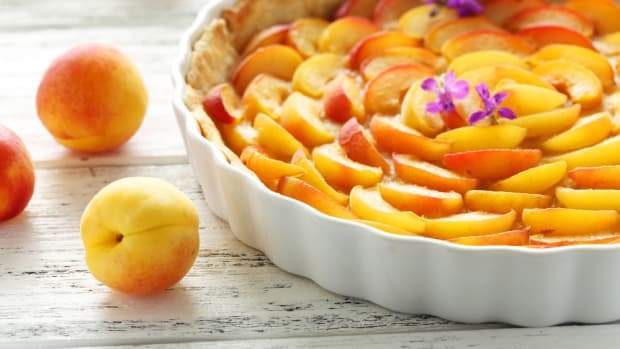 Do not let the tart sit longer or the caramel may stick to the pan, causing the apples to fall apart when the tart is unmolded. Invert tart onto a serving platter that is a little larger than your pan (if you plan to reheat the tart, use an ovenproof platter) with a lip over the tart, and then carefully invert it onto the platter. If necessary, use a fork or knife to gently rearrange any apples that may be out of place. 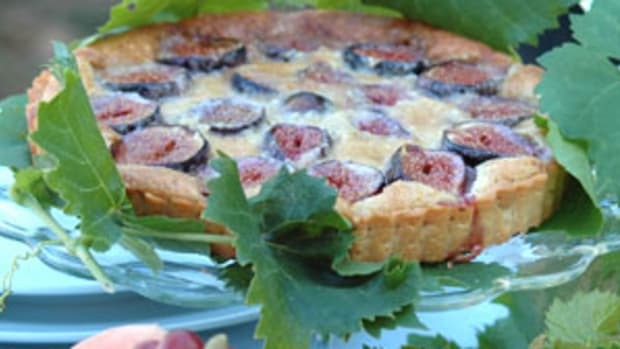 The tart is at its peak after it has rested for several hours at room temperature or in the refrigerator. The apples absorb even more of the caramel as it sits. 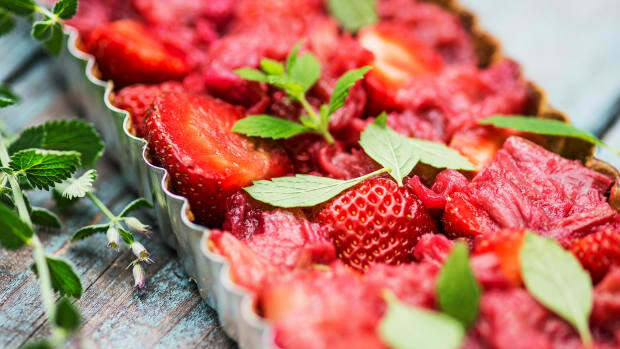 If the tart has been refrigerated, reheat in a hot oven for a few minutes before serving. Top each slice with a dollop of crème fraiche or vanilla ice cream. 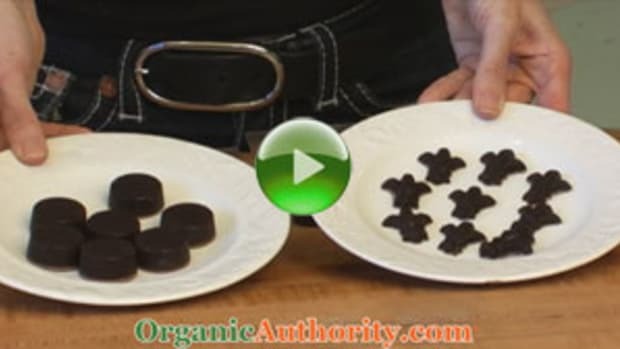 Note: Because you follow an eco chic lifestyle, OrganicAuthority.com recommends using certified organic ingredients, when available, in all recipes to maximize quality, flavors and nutrition while minimizing your risk of exposure to pesticides, chemicals and preservatives. Have fun and enjoy your delicious recipe!